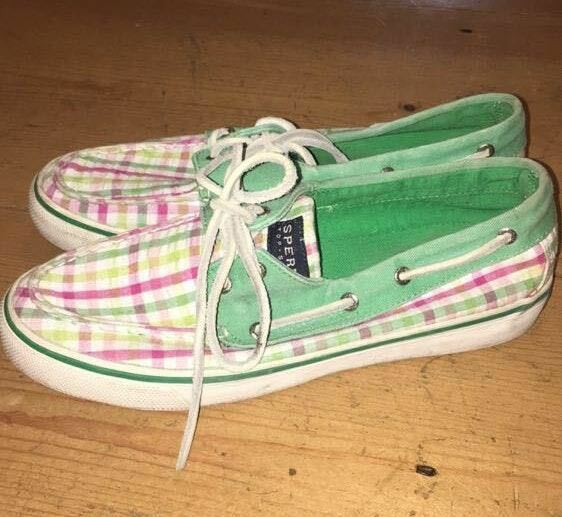 Good condition sperry topside. Green and pink coloring with white trim. Lots of life left in them and great for spring or summer!